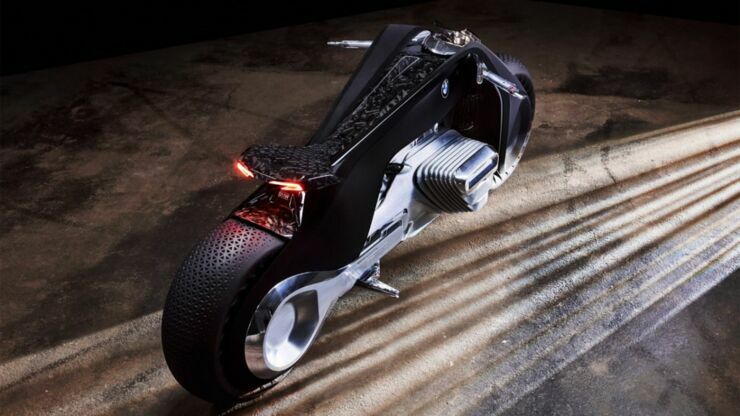 With the BMW Motorrad Vision Next 100 motorcycle the future of biking will not require the rider to wear a helmet. 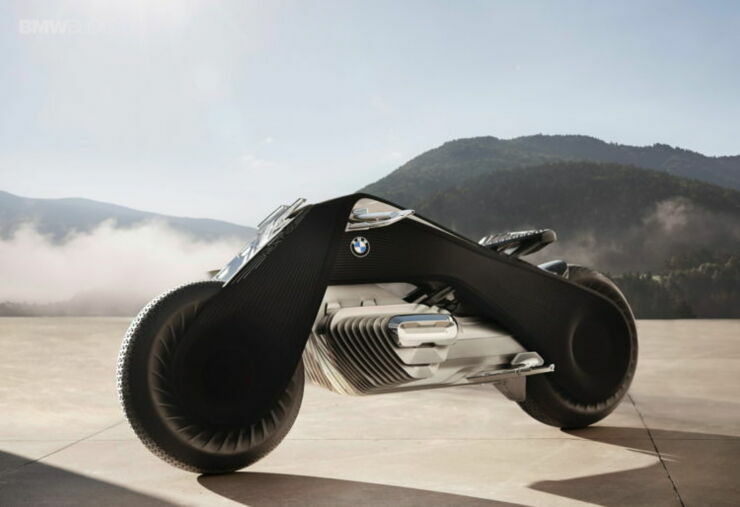 That's just part of BMW Motorrad's idea that goes with their new futuristic concept motorbike the Vision Next 100 which was recently unveiled in Santa Monica, California last year. 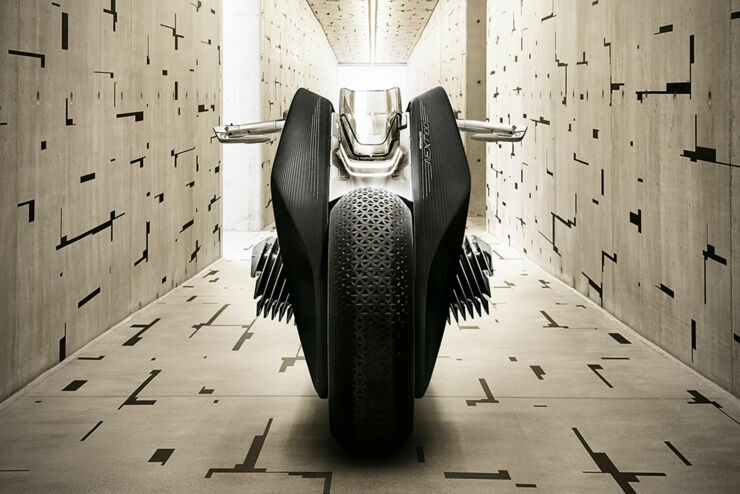 The motorcycle is the last in a line of innovative concept vehicle designs by the BMW company to mark their centenary year. 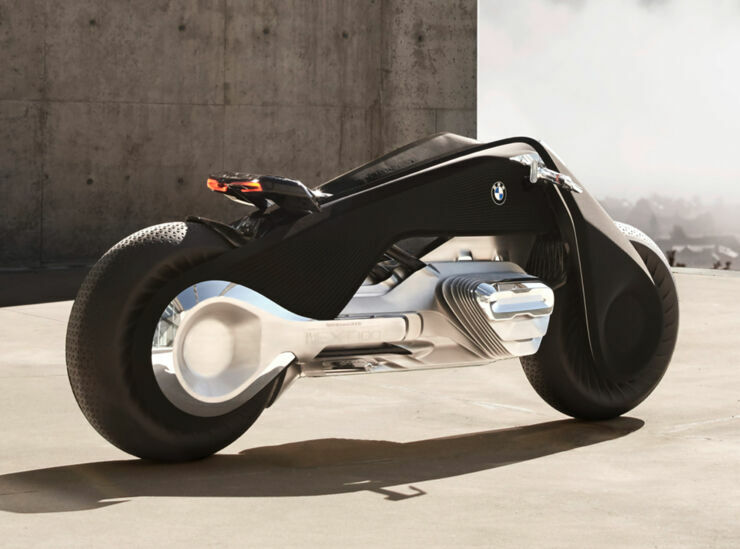 The Vision Next 100 is BMW's vision of what motorcycling might look like over the next 30 years. For them riding a bike will be "an analogue experience in a digital age" and "islands which give humans back that feeling of freedom." 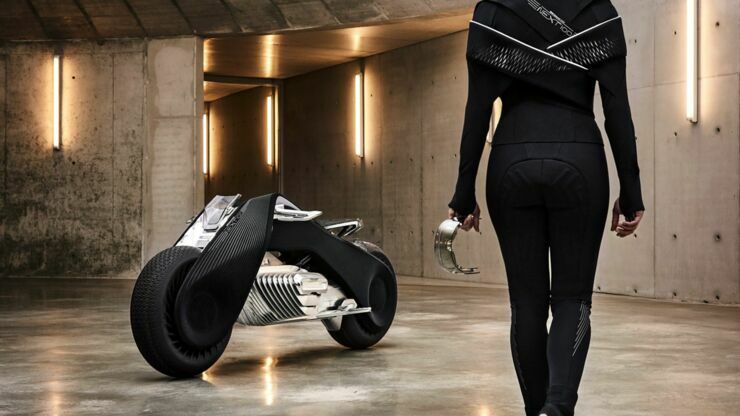 It's a concept motorcycle that keeps the rider in control in an autonomous world. 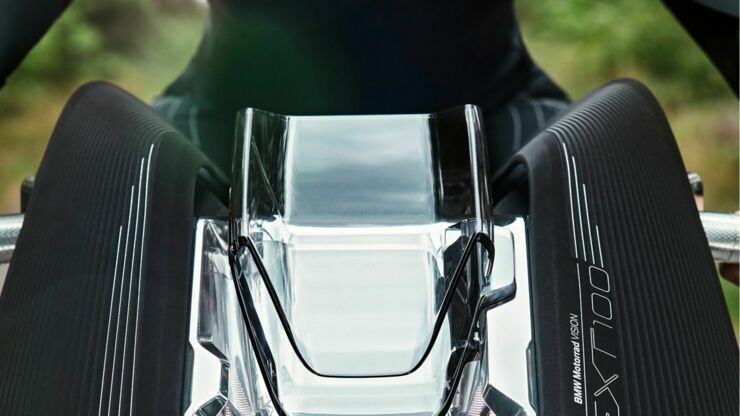 The reason you won't need a helmet is that the vehicle will come with a "digital companion" which BMW describe as "a functional unit consisting of motorcycle and our own version of rider's equipment" and "ensures a high degree of safety." It will act "imperceptibly in the background and always intervenes when required or desired." 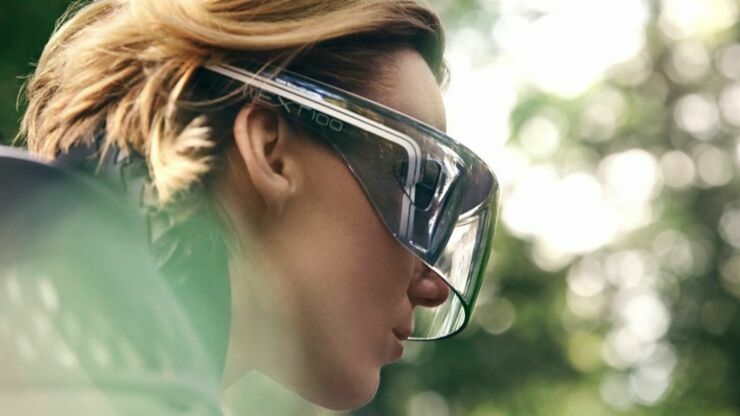 The rider will also wear a specially designed Vision Next 100 visor, or data glasses, that project directions and will also be used to display a projection of the rear-view camera so they can see behind them. 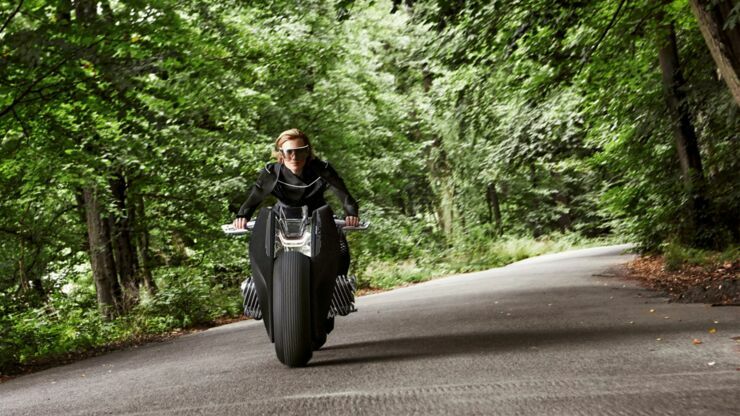 The zero emissions Vision Next 100 motorcycle itself is built around a unit called Flexframe, which lets you steer without the joints on today's bikes. It means if you move the handlebars then the entire frame changes shape and allows for that change in direction. Depending on traffic, the forces required to manoeuvre the frame varies. 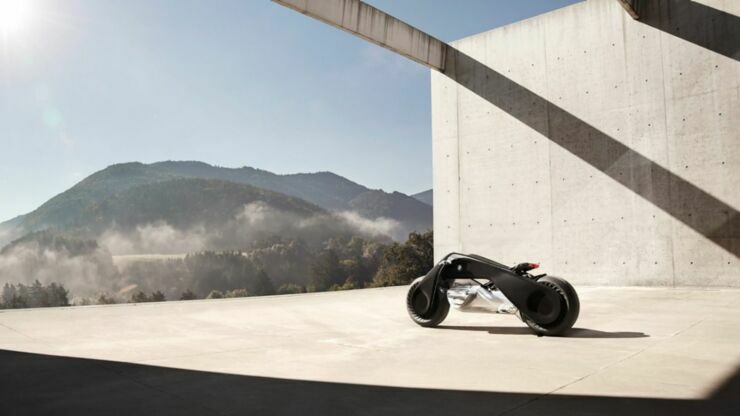 The opposed twin-engine will sit amid the frame, it's exterior shape changing depending on the riding situation. So when at a standstill it's tight, while when you begin riding the engine block protrudes from the sides, this optimizes the aerodynamics and the motorcycle's weather protection. 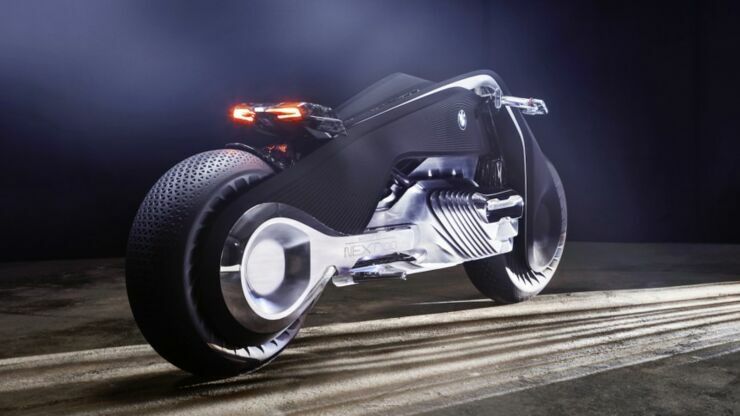 The Motorrad won't require a stand either, because assistance systems will provide it with perfect balance. Which will work when it's in motion and standing still, so you'll climb off and it'll stay stable. "When we develop a motorcycle, we are usually thinking around five to ten years in the future. 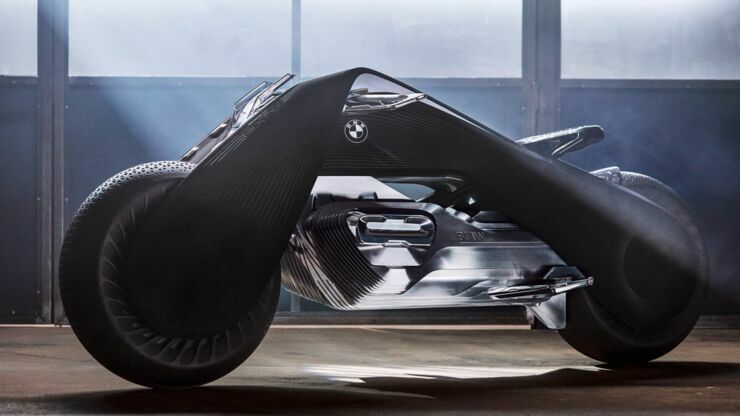 So taking a look further into the future was especially exciting for us and highly appealing," says Edgar Heinrich, head of design at BMW Motorrad. "The motorcycle provides my escape from everyday life. From the moment I climb on board, I experience nothing but absolute freedom – The Great Escape." 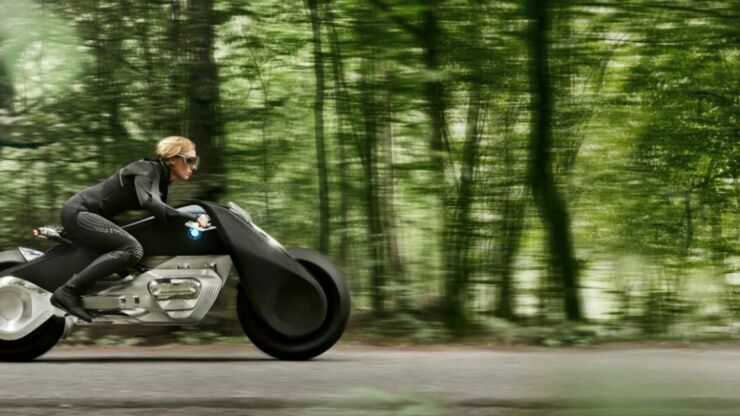 Because of that idea, the Motorrad Vision Next 100 won't feature any driverless technology, as autonomous driving isn't part of the motorcycling experience, say BMW. For more information check out their website. 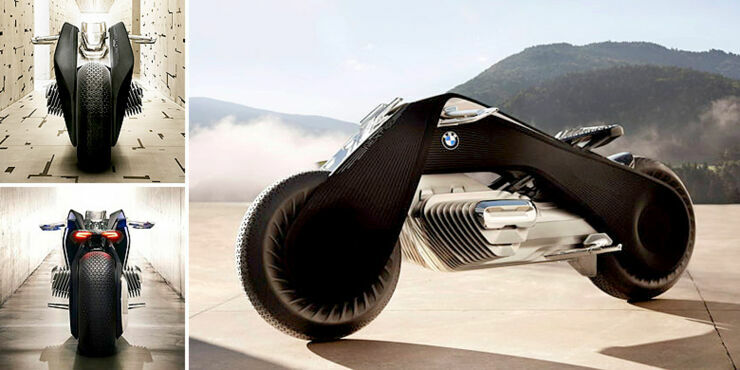 BMW Motorrad VISION NEXT 100. Making of.